Let’s rewind for a second. For those not familiar, parkour is essentially a type of movement used to overcome obstacles by way of vaulting, leaping, climbing, rolling etc. It’s done outdoors and – in London – often around housing estates, where there are lots of walls, rails, playgrounds. Ideal places to practice. Still reading? Well, there’s an organisation called Parkour Generations that do lessons all around London. Well worth a go if you’re looking for a new sport. I realise, from my opening paragraph, I’ve probably completely put off you if you were considering it, apologies! To be honest, you can get injured in so many ways on a day-to-day basis. Crossing the road, preparing dinner etc. The way I see it, I have no time for the gym, it’s such a static, sterile environment. It’s nice to train your overall body outside, doing something different, challenging, exciting. Injuries are bound to happen in any sport if you’re pushing yourself. You just need to know where your limits are. 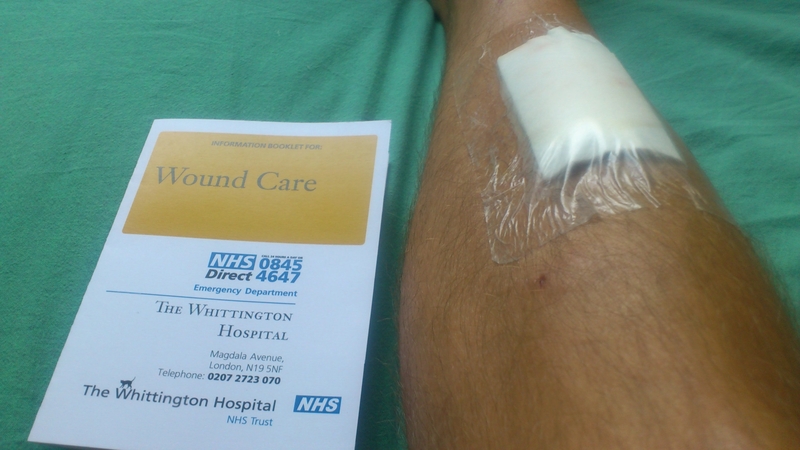 I was fully aware of mine but ignored the signs, hence the injury. The video below was taken in the area I was training. None of the guys in the video are me by the way, I am nowhere near their level of skill, but it’s what I aim for. Well, except the flips, I’ll give those a miss! Plus, these days, parkour has moved much more into the mainstream. No longer a niche, extreme sport, its influence can be seen all over the place, particularly in film over the last few years. There’s a French film called District 13 which features one of the founders of the sport, David Belle. Well worth a watch if you’ve got the time. Good as a film as well as a showcase for the sport. Also, in Casino Royale there’s a scene featuring Sebastien Foucan, another parkour founding father. Watch the building site chase here, very cool. I was on safari in Tanzania earlier this year, you’ve taken some great shots. Love the lion and the cub! Sadly cubs were hiding when I was there. The Warriors: Director’s cut – can you dig it? Ok, it’s a film that first came out in 1979. Why on earth am I reviewing it? Well, I picked up the Director’s Cut version and had this vague, misty … Continue reading The Warriors: Director’s cut – can you dig it? Sin City 2: Angie, where are you? Ok, I know the release date for Sin City 2: A Dame to Kill For is scheduled for October 2013, but I’ve had something playing on my mind. Namely, Mrs … Continue reading Sin City 2: Angie, where are you? Yes, that line above is wrong on purpose. 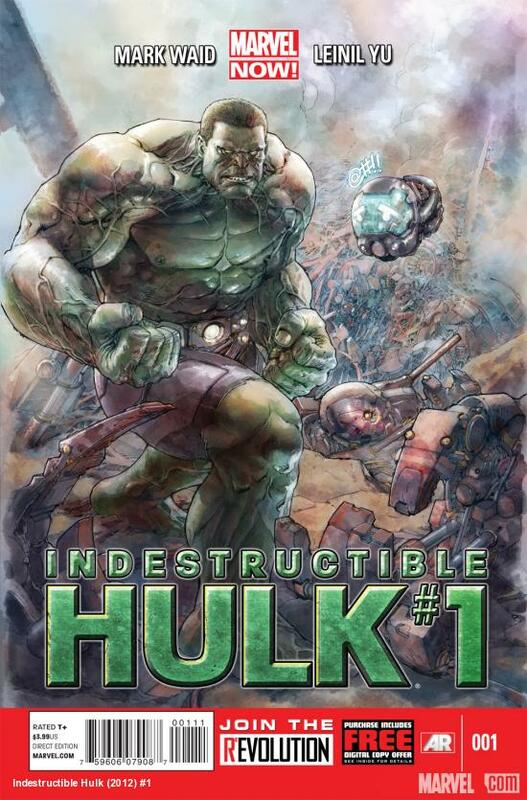 In an interview with Marvel.com, writer Mark Waid and artist Leinil Yu talk about the new Indestructible Hulk book, which hits this November. Waid is a legend in the comic book world, with my personal favorites being Irredeemable and Daredevil, and now he tackles the green goliath for the first time. Yu is no stranger to the Hulk, having the Ultimate Hulk Vs Wolverine already under his belt. So what is in store for Banner now?